I started racing in 1979, at the age of 20. I had no ambition. I just knew I was going was going to kill myself or end up in jail if I continued indulging my love of speed on the road. I got lapped in my first race on an RD400, but bit by bit I got faster; despite broken wrists, collarbones and everything else. 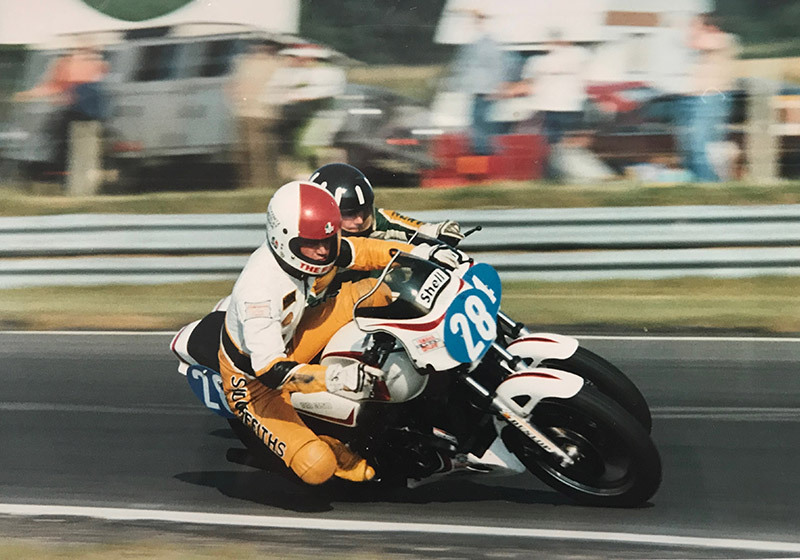 By 1982 I’d got the hang of it: I won 49 races on Yamaha LCs, including a run of 23 consecutive victories, plus several club championships and lap records at Brands Hatch, Snetterton and Donington. I was never much of a mechanic. 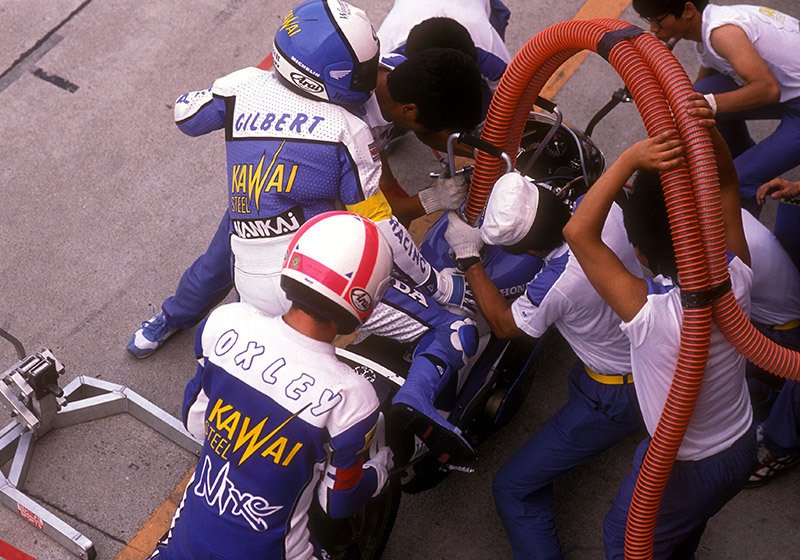 In fact I was a disaster, which killed my hopes of making it as a 250 GP racer. So when my housemates – Howard Lees and Dave Chisman of Team Bike – asked me to join their endurance team I said yes. All I had to do was ride the bike. And do some washing up. Team Bike was like a rock and roll band: travelling the world, doing daft stuff. We finished second in the Le Mans 24 hours, second in the Spa-Francorchamps 24 hours, seventh in the Suzuka 8 Hours and third in the Endurance World Championship. I never wanted to do the TT. Two of my biggest childhood heroes – Tom Herron and Pat Hennen – were killed or horribly injured on street circuits. But then the editor of Motor Cycle News asked me to do the 1984 proddie TT: two weeks out of the office, all expenses paid. A no-brainer. The TT terrified me, until I rode it on closed roads. 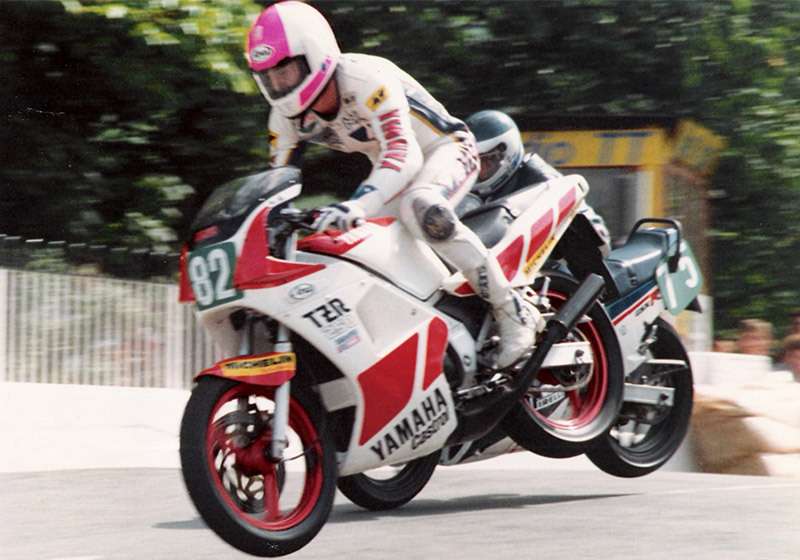 I finished third in my first TT, on a Suzuki RG250, won the race the next year, on a Honda NS250R, and finished third in my third year, after setting a lap record and crashing, on a Yamaha TZR250.